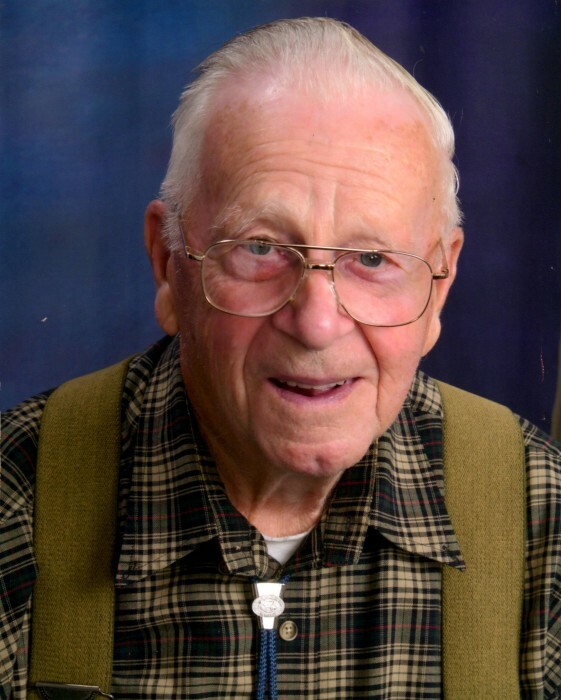 Obituary for Floyd G. McEwen | Fox Funeral Home, Inc.
Floyd G. McEwen, 91, of Cabot passed away on December 5, 2018 at his home. Born June 10, 1927 in Winfield Twp. , PA, he was the son of Harry McEwen and Imelda Miller McEwen. Floyd worked for the Butler County Mushroom Farm retiring in 1985. He was a lifetime member of Zion U.M. Church in Sarver, former member of the Butler Old Stone House Antique Auto Club, long time member of the Antique Auto Club of America and the Vintage Chevrolet Club of America. He enjoyed woodworking and restoring old cars. Surviving are his children George (Lynn) McEwen of Pasadena, MD, Donald (Sharon Fran) McEwen of Cabot, Sharon Graham of Butler, 5 grandchildren, 16 great-grandchildren and 5 great-great grandchildren. He is preceded in death by his parents, his first wife, of 44 years, Genevieve Beckett McEwen, his second wife, of 13 years, Virgillia "Jill" Shetter McEwen and 1 grandaughter. Friends will be received on Friday, December 7, 2018, from 2-4 & 6-8 pm at Fox Funeral Home, Inc., Saxonburg, PA.
Services will be held on Saturday, December 8, 2018, 11:00 am at the funeral home with Rev. Robert Wilson officiating. Interment will follow in Butler County Memorial Park. Memorial donations may be made to the Zion U.M. Church 438 Bear Creek Road Sarver, PA 16055.